Art at C.M. 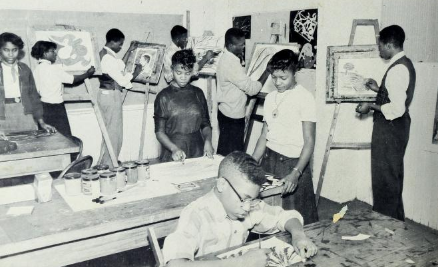 Eppes High School in 1955. 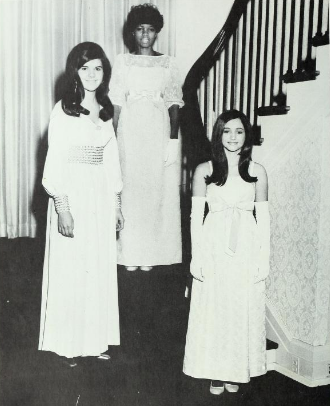 Junius H. Rose High School Junior Princesses, 1970. 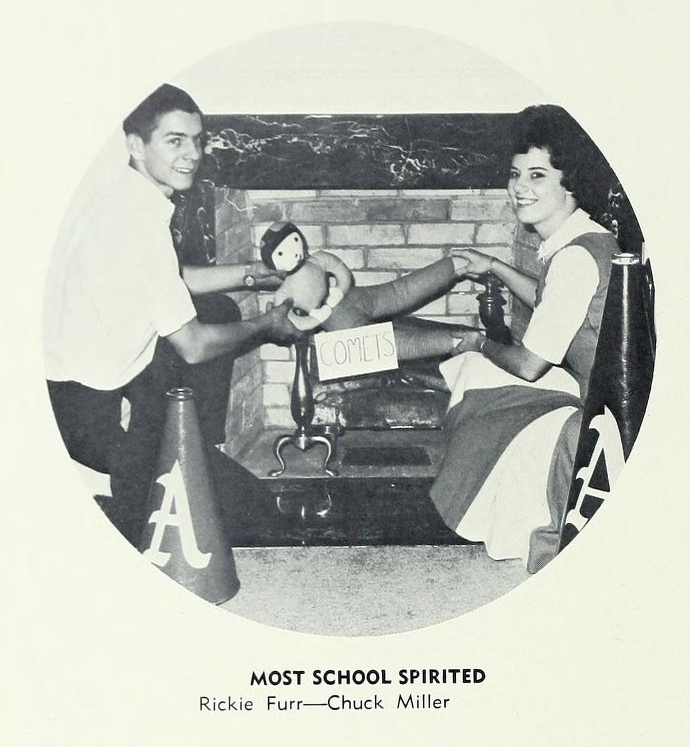 The year 1969-1970 was an important one for J. H. Rose High School because it marked the beginning of its consolidation with C.M. Eppes High. There were, naturally, conflicts and compromises, problems, and satisfactory solutions. 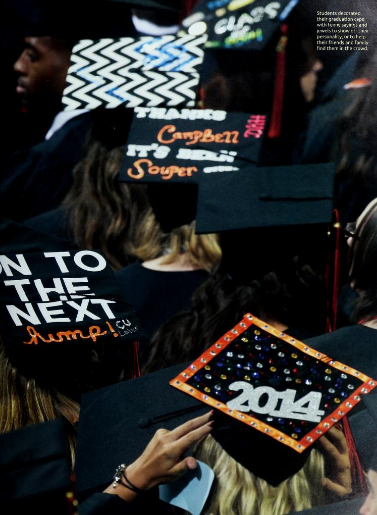 However, everyone involved knew that the actual success or failure of the merger hinged on the attitudes of the student body. Co-operating individually and collectively, the students strove to prove that blacks and whites can co-exist in peace and progress. Because of your sincere concern and active deliberation, the 1970 VISA is dedicated to you, the student body of Rose High School. The C.M Eppes High School Alumni Heritage Society, Inc. is a new contributor to the North Carolina Digital Heritage Center. These ten yearbooks are their first contribution. The Quill and Scroll club at Junius H. Rose High School, 1970. 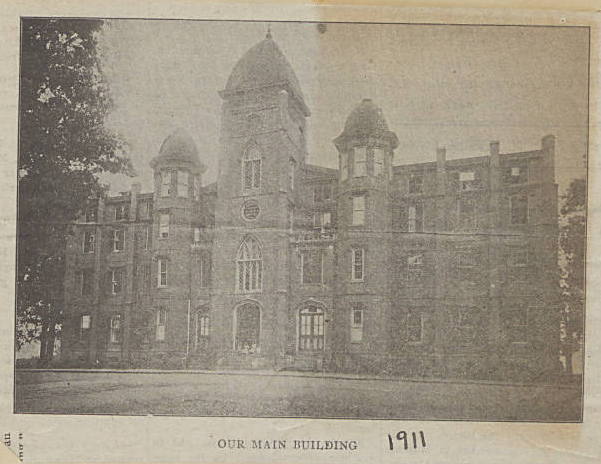 The Oxford Orphan Asylum in 1911, from Hays Scrapbook Vol. 98: Oxford Orphanage. 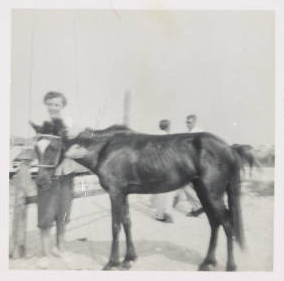 New scrapbooks contributed by Granville County Public Library have been digitized and are now on DigitalNC. Five of these scrapbooks are from the Francis B. Hays Collection, joining the 92 previously digitized scrapbooks made by Hays about Oxford and Granville County, North Carolina. The scrapbooks are focused on topics such as pharmacies in Granville County, the bar and lawyers, medicine and sexuality, mayor and board elections, and the Oxford Orphan Asylum. We have also digitized three new scrapbooks by Johnnie and Floyd Parker, which include cards, newspaper clippings, obituaries, weddings, graduations, World War II news, postcards, diary entries, and photographs. 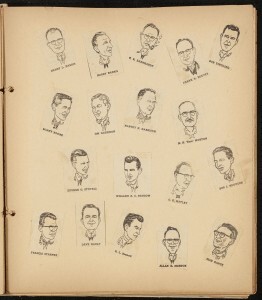 The 1968 scrapbook focuses on UNC basketball in particular, including the Parkers’ trip to Los Angeles for the championship game. Johnnie Parker consistently wrote down scores and updated brackets for basketball games. 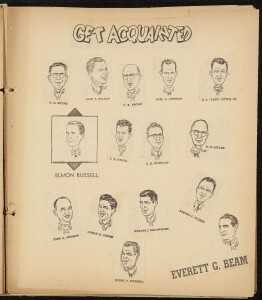 Following are the links to the newly digitized scrapbooks. The Parkers’ photograph of the UNC vs UCLA championship game, 1968. 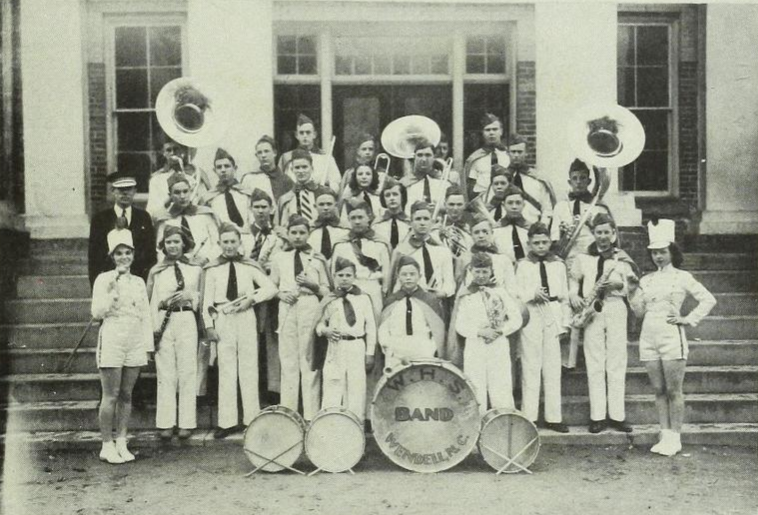 The contributor page of Granville County Public Library has more materials from them, including scrapbooks, photographs, yearbooks, and newspapers. There is an exhibit page dedicated to the Francis B. Hays Collection, where you can browse by topics like Oxford and Granville County church histories, families, marriages, obituaries, schools, and businesses. You can learn more about the Granville County Public Library through their website. 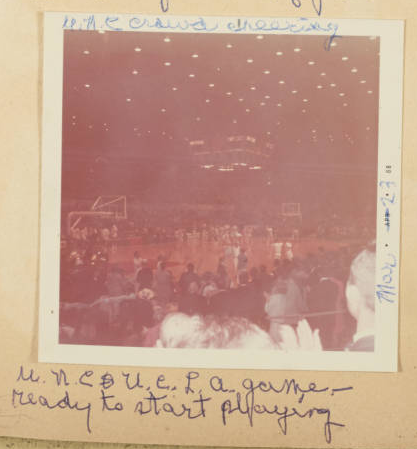 Ticket to 1968 National Collegiate Basketball Championships, from Parker Scrapbook. 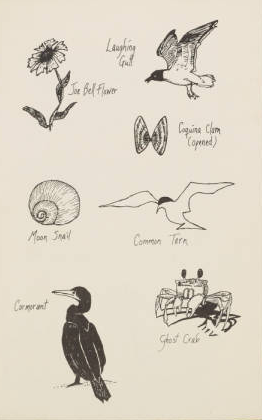 Illustrations of local plant and animal life in Ocracoke. 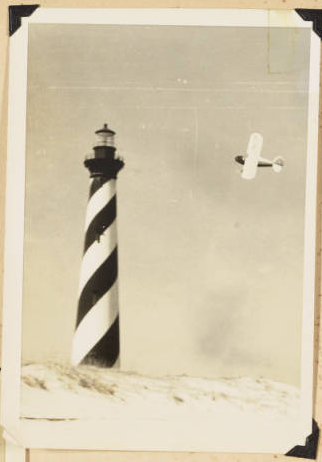 Ocracoke Lighthouse and plane, 1952. 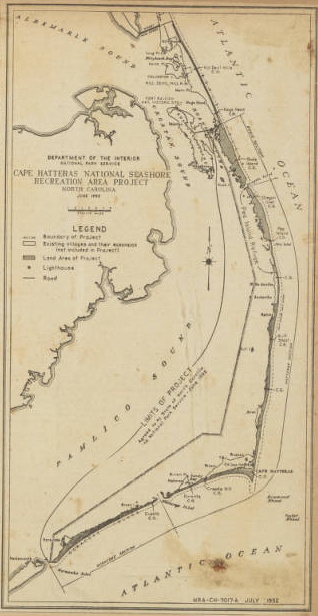 Park Service plans for project in Outer Banks, July 1952. 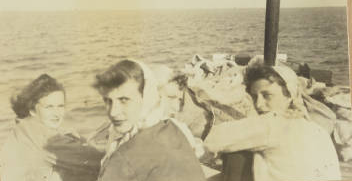 These materials were contributed by the Ocracoke Preservation Society, which works to preserve the cultural and historical heritage of Ocracoke Island. You can view more from the Ocracoke Preservation Society through their contributor page or on their website. 4th of July pony penning. 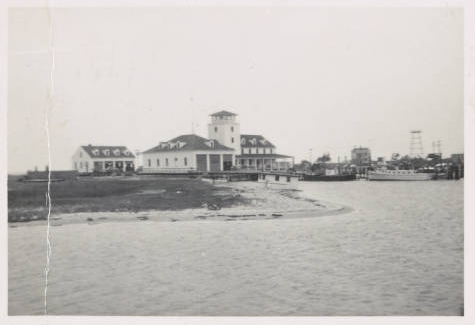 Coast Guard Station on Ocracoke Island. 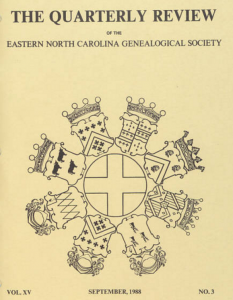 15 volumes of the Quarterly Review of the Eastern North Carolina Genealogical Society are now available on DigitalNC, contributed by the New Bern-Craven County Public Library. 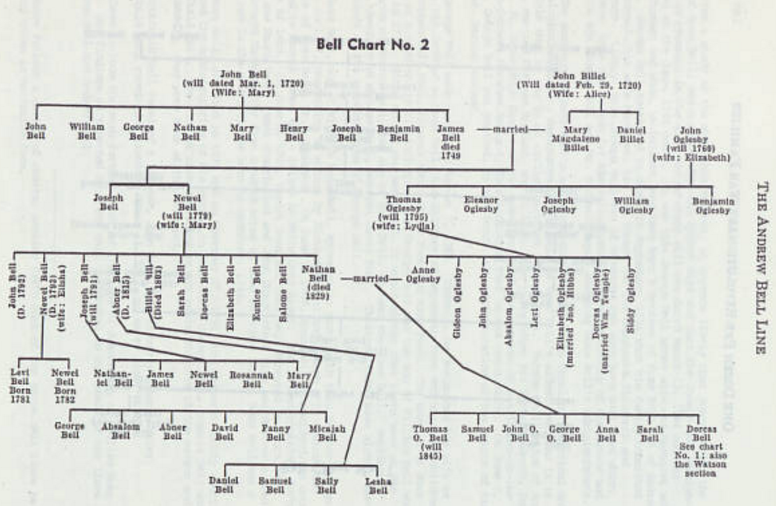 The Review was established in 1974 as a way to publicize genealogy and local history information. Each issues contains a wealth of information including copies of wills, marriage records, family trees, and other transcripts of historical documents. The Review also offered research help for readers’ questions and essays by local genealogists. These issues could serve as an excellent, centralized source for genealogists interested in this area of the state. You can view all of the recently added issues at this link. To see more from the New Bern-Craven County Public Library please visit the contributor page or the website. 48 journal issues from a new partner, the Wake Forest University Professional Center Library are now available on DigitalNC! 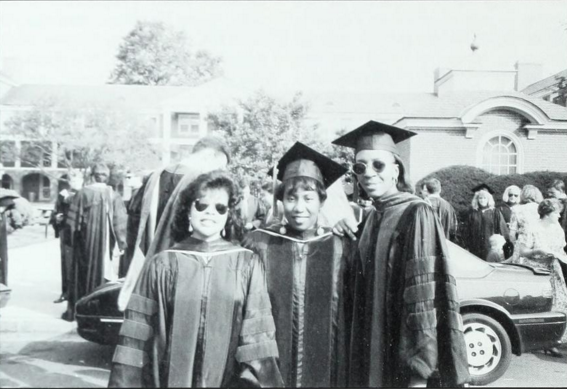 The Wake Forest Jurist is the alumni magazine associated with the Wake Forest School of Law. The Jurist includes featured stories, news and updates about the law school and prominent alums, and columns from the deans. 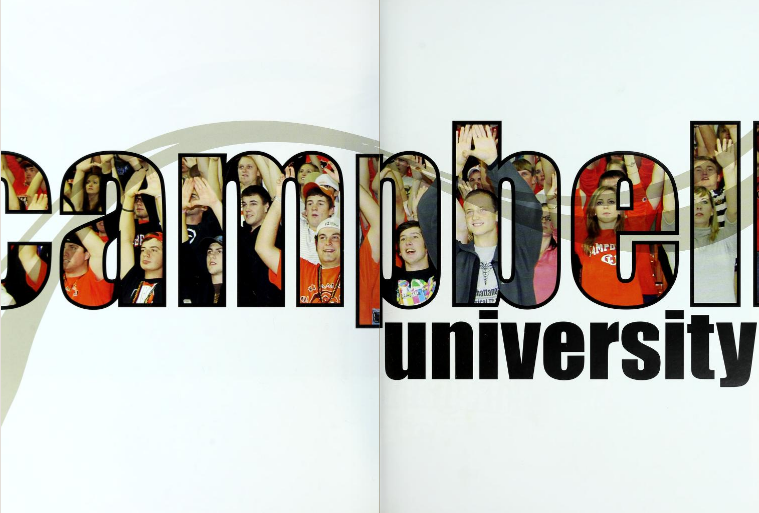 Issues from 1989-2014 are online. You can see see all the new issues at the following link. or through the Library’s contributor page. To learn more about the Wake Forest University Professional Center Library, you can also visit their website. 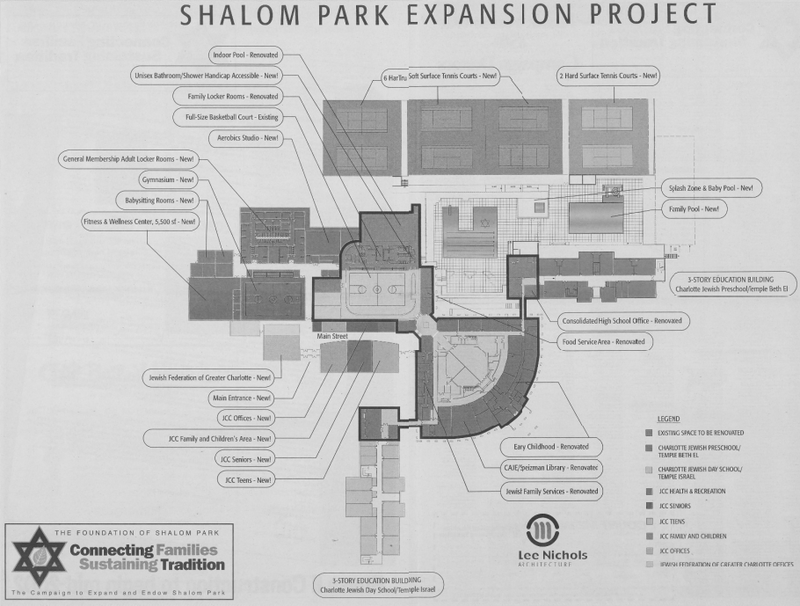 Plan for Shalom Park Expansion Project, December 2001. Newspapers from The Jewish Historical Society of Greater Charlotte located at the Levine-Sklut Judaic Library and Resource Center have been added to DigitalNC. The new additions to The Charlotte Jewish News run from January 2000 to December 2008, filling in gaps from the editions we previously digitized, which run from 1979 to 2013. You can browse by year and see newspapers in a calendar view at DigitalNC as well as use keywords to search. 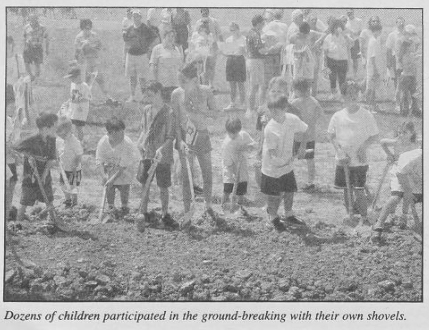 Ground is broken for the Shalom Park Expansion in April 2002. The Charlotte Jewish News covers news stories relating to the Jewish community in Charlotte, such as holidays, events, awards, education, arts, fundraisers, speakers, clubs, and travel. With decades of newspapers digitized, you can follow stories as they unfold, such as the expansion of the Shalom Park. Plans were published in the December 2001 issue, ground was broken in April 2002, a map of the Shalom Park expansion and renovation projects was published in June 2002, and in January 2004 the paper reviewed what had been built and what new features were to come. You can learn more about the Jewish Historical Society of Greater Charlotte from their contributor page or the website for the Levine-Sklut Judaic Library and Resource Center. New materials from The Grand Lodge of Ancient, Free and Accepted Mason of North Carolina are now available on DigitalNC! These items are artifacts from St. John’s Lodge No. 3, located in New Bern, NC. This lodge is third oldest in North Carolina and still meets in their historic building in the downtown area of New Bern. The minute books, dating as early 1772, document the Lodge’s happenings and meetings. Each of the minute books contain the handwritten notes of the Lodge secretary and include the names of members and visitors. These primary documents could serve as an excellent resource for those interested in studying freemasonry in North Carolina as well as those interested in genealogy of the area. One of the most unique instances in the minute books is documentation of the funerals of members. 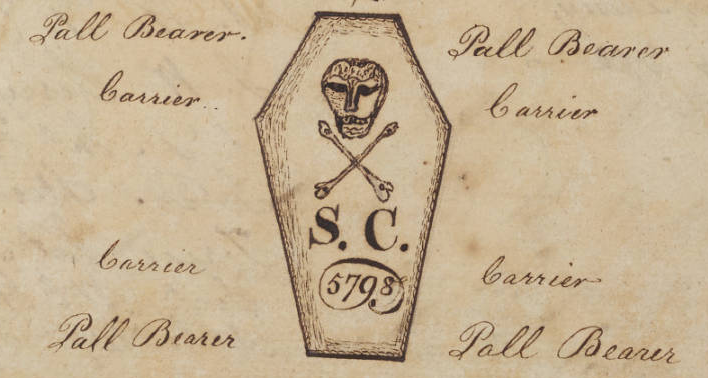 The authors drew images of the caskets and documented the pall bearers, carriers, and others who participated in the final rights of deceased brothers. To see all of the items please visit the Grand Lodge contributor page. To learn more about St. John’s Lodge No. 3, please visit the website.